Throughout her long and storied life, Rachel Bunny Mellon's greatest passion was garden design. She and her husband, Paul Mellon, one of the wealthiest men in America, maintained homes in New York, Cape Cod, Nantucket, Antigua, and Upperville, Virginia, and she designed the gardens at all of them. She also designed gardens for some of her dearest friends, including the Rose Garden and the East Garden at the White House, at the request of President Kennedy, and the gardens at both the Paris home and the ch teau of couturier Hubert de Givenchy. 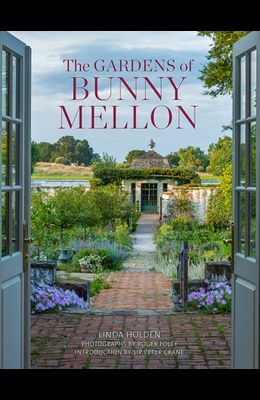 All of these gardens are featured in The Gardens of Bunny Mellon , illustrated with Mellon's own garden plans, sketches, and watercolors, as well as with archival photographs and specially commissioned photographs of Oak Spring, the Mellon estate in Upperville. Author Linda Holden's text is based on extensive interviews with Mellon before her death in 2014.